Biography and 8 Jane Austen books available to download for free for iPhone, iPad, Nook, Android, and Kindle in PDF and all popular eBook reader formats (AZW3, EPUB, MOBI). 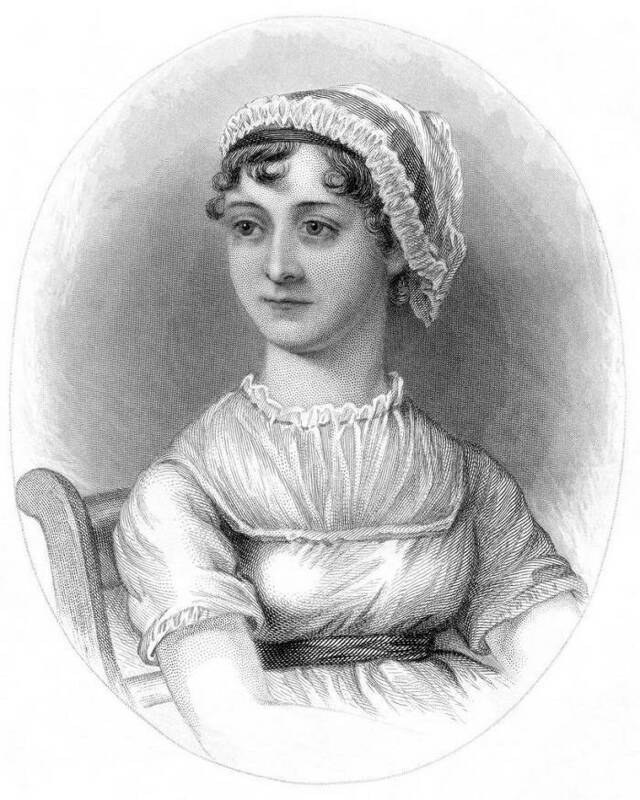 Jane Austen was born on 16 December 1775 in Steventon, Hampshire, England. Jane was one of eight children of the Reverand George Austen. Jane only had one sister, Cassandra. Jane had a very close relationship with Cassandra throughout her life and the only known likeness of Jane is a portrait by Cassandra. In 1783, Jane and Cassandra began their education with Mrs. Cawley (an aunt) and in 1785 attended the Reading Ladies boarding school in Reading, Berkshire. Her advanced education (for the time) and a family love of literature and drama, and the encouragement of her brother James contributed towards Jane starting her first novel in 1789. On her father's retirement in 1801 the family sold everthing of worth and moved to Bath. Life in Bath was financially difficult and Jane nearly accepted a marriage proposal in 1802 to help alleviate the family's money problems. Jane was so unhappy in Bath that she stopped writing. In 1805 Jane's father died and Jane and Cassandra went to live with their brother Frank in Southampton. In 1809 her brother Edward gave Jane, Cassandra and their mother a cottage on his estate in Chawton (near Steventon). Her brother Henry helped Jane agree terms with a publisher and "Sense and Sensibility" was published in 1811. In 1816 Jane began to suffer from ill health. By May 1817 she was so unwell that she moved to Winchester to be closer to her doctor. Her condition continued to deteriorate and she died on 18 July 1817. Jane Austen is buried in Winchester Cathedral. Website and original content ©2007-2016 Metrici Limited.